This two-day, in-person workshop will provide therapists with a clear description of musculoskeletal make-up of the “core” and will cover the research-based neurophysiological rationale for evaluating core development and function in individuals with sensory processing difficulties. 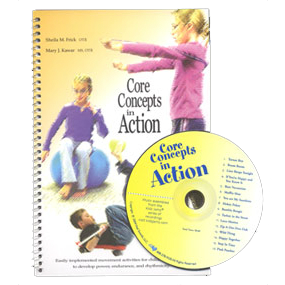 Core function will be explored from its developmental roots in the unfolding of the primary movement patterns (innate reflex development). Two key patterns (Moro and Tonic Labyrinthine) and their connections to core development and self-regulation will be discussed. A specific play-based observation tool that identifies core movement challenges and assists in prioritizing treatment strategies will be presented and explored through movement labs. Along with assessment, a variety of hands-on treatment strategies will be demonstrated through interactive labs. Video case presentation will be used to show practical clinical applications. 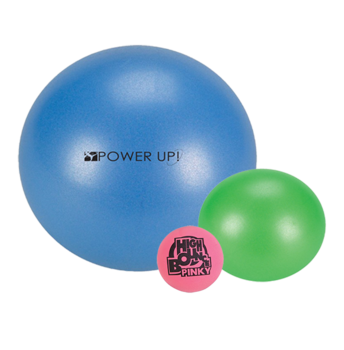 Registration includes a Gertie Ball, a Power Up Ball and a Pinky Ball. Take an additional discount of $25 per participant for groups of 3 or more individuals enrolling simultaneously under the same web-order. Discount applied at checkout. Check-in begins at 8:30am EDT on day one & day two. Apply three strategies that activate inner core for the purpose of stability and self-regulation. Explain the importance of complete expression and integration of the Moro and Tonic Labyrinthine reflex for core development and self-regulation. Describe the importance of respiratory patterns and their relationship to core activation. Vital Links is an AOTA approved provider of continuing education. Participants are eligible to receive 12.0 contact hours or 1.2 AOTA CEUs for this course. Each participant is asked to bring a yoga mat and gym ball (fits you to sit at 90/90). Registration includes the Therapy Ball Trio, which consists of one Gertie Ball, one Power Up Ball and one Pinky Ball. The Therapy Ball Trio will be provided at the course. The items will be utilized during workshop demonstrations and labs. Please Contact Us if you have any questions. Cancellations requesting a full refund must be in writing and received by Vital Links two weeks prior to the course; refund will not be granted after that date. Approved refunds will be issued after the final course date (minus $50 processing fee). Cancellation requests may transfer full credit towards another Vital Links course if notification is received in writing at least 7 business days prior to the start date. Vital Links reserves the right to cancel any course with due cause and refund in full. Registrant bears sole responsibility for transportation to course. Participants purchasing non-refund-able airfare tickets are encouraged to inquire as to course availability before final purchase. Weather or transportation difficulties are not the responsibility of Vital Links, and failure of a chosen means of transportation is not grounds for registration fee refund when course is held.